Tutorial: How to Make Earwax Hash? 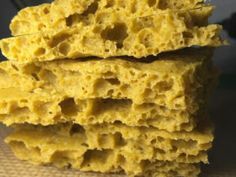 Earwax hash is basically 99,99% pure concentrate of your favorite cannabis strain, that contains only cannabinoids only. The consistency of earwax hash is very similar to the wax that comes out of your ears and that is where the name came from. The reason why this hash is so popular is its potency which is among the highest ones when it comes to cannabis concentrates. Commonly, earwax hash is smoked by putting into a joint together with dry herb flower and then rolling it. 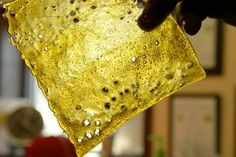 Some people prefer dabbing with this wax, and each way is great and you can decide which way is the better for you. If you are wondering how to make earwax hash, keep reading our post. There a couple of things you are going to need, so prepare them before you start. You will firstly need an extraction cylinder. This can be made from 2 inch plastic tubbing that you need to cut to a length of 30 cm. Then you will need a vine cork in one end. On the other side of tube you will need putty to seal and wrap the coffee filter. Eventually, you can use duct tape to secure everything more tightly. You will also need latex gloves, heat source, a razorblade, a large pyrex dish, butane, mixing instrument (mini screwdriver will be just fine) and the dried trim/bud. We suggest you use high-quality buds only as you will get the top-notch quality. How to make earwax hash? 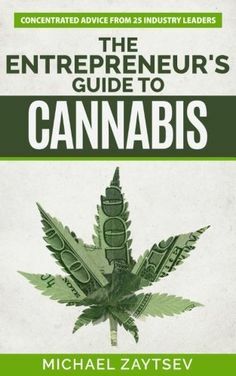 The first step is to find a well-ventilated room so you the butane can go out. Now, pack your tube with the dried flowers, but make sure it is not too tight but without any air pockets inside. Now seal the end with the cork cap. Now, run hot water in your sink and place the pyrex dish to float without wetting the inside of dish. After two minutes when the pyrex is warmed up, shake the bottle of butane and squeeze it inside the cap fitting and hold the device over the pyrex. Butane must go through the material. Leave butane to evaporate. While the pyrex dish is still in hot water, use the mixing tool to scratch the surface and scrape through the bubbles and you will notice that the mixture is getting a bit milky. Stir for a minute. Then remove the pyrex dish out of water, but be careful that you don’t mix water and oil in the dish. Gather oil in the middle of dish and place the dish on the heating source. Heat it up gently and slowly. When the mixture becomes softer and runnier, turn off the heating and stir well. Get it back on the heat and stir it as it bubbles. When the oil cools down and becomes thicker, repeat the heating and stirring a few times until the oil changes its consistency. It will crystallize and become like a paste, When you see it becoming milky, it is time to collect the concentrate. Let it cool down. When it cools down, the mixture should look like a paste. Sometimes you will need to repeat heating and cooling a few times before the mixture turns to milky color. Now, put on the latex gloves, and use razor blades to gather wax into one pile. Now, press the mound in the pyrex and shape it into a pyramid-like structure. Get under the mound, and use blades to mold the wax into a ball, using your latex gloves. When you shape it, you can enjoy it!